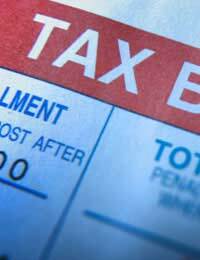 Many people believe that students are exempt from paying tax. There is a commonly held misconception that students will not have to pay tax at all, even though the majority of full-time students have to have a part-time job in order to pay the bills (or settle their bar tab, depending on the individual). In reality, students must pay tax just like anyone else. The fact that they are in full-time education does not give them an exemption. The misconception probably stems from the fact that, while students must theoretically pay tax like the rest of us, most earn below the personal allowance threshold (currently set as £11,850 for the 2018-19 tax year). In reality, however, many students still end up paying tax incorrectly – as our case study demonstrates. This case study concerns a full-time university student based in Lincoln. While completing a degree in TV production, they did various jobs on the side. The majority was simple bar work, but late in their degree they began doing ad hoc work with a media production company based in the city. "I presumed I wouldn't have to pay tax," the student said. "But actually I ended up doing a lot more work than most of my friends at university, and so tax became something I had to get to grips with." While just doing bar work, the student was paid through the PAYE System. This is normally the simplest system, as it allows tax payments to be taken from wage packets without any action on the taxpayer’s part. However, like many students, this individual had significant problems ensuring that they actually paid the right amount. As the individual’s Tax Office had insufficient information about their situation (mainly because they had not previously been a taxpayer), they were immediately placed on an emergency tax regime. This meant that tax was taken from their pay packet from the very beginning of their employment. This posed problems because, as they were just working part time, the individual only just exceeded their personal income allowance over the course of the year. However, the emergency tax code meant that all their income was taxed, rather than just the portion over the personal allowance threshold. The individual in question did not work during their second year at university, and the excess tax was therefore not paid back through the PAYE system. Instead, they had to go through the laborious process of claiming a rebate from HM Revenue and Customs. The upside to this, of course, was that they eventually received a cheque for the overpayment. "To be honest the overpayment didn't affect me too much," says the student. "It was coming straight out of my pay packet so I didn't notice it. But the cheque was a welcome surprise that helped out massively." In their third year, the student began working on an ad hoc basis for a media productions company. They did occasional work as a cameraman, but were not counted as an employee. Rather, they operated as a self-employed freelancer (see our article Tax Tips for Contractors. Although they did not earn enough during the year to take them over the personal allowance threshold, they still had to complete a self assessment form in which they declared their income. As this case study demonstrates, it is vital for students to remember that they are subject to Income Tax in exactly the same way as everyone else. This means they will have to deal with the potential pitfalls of the PAYE system, and should therefore be made aware of the means by which they can rectify problems as and when they arise.